The festival, which is 21 and up, is divided into outdoor daytime shows and nighttime shows at various venues around Portland from September 26 to September 28. In addition to Modest Mouse and Tears for Fears, GZA, the Violent Femmes and Phosphorescent are among the big names for the outdoor shows. 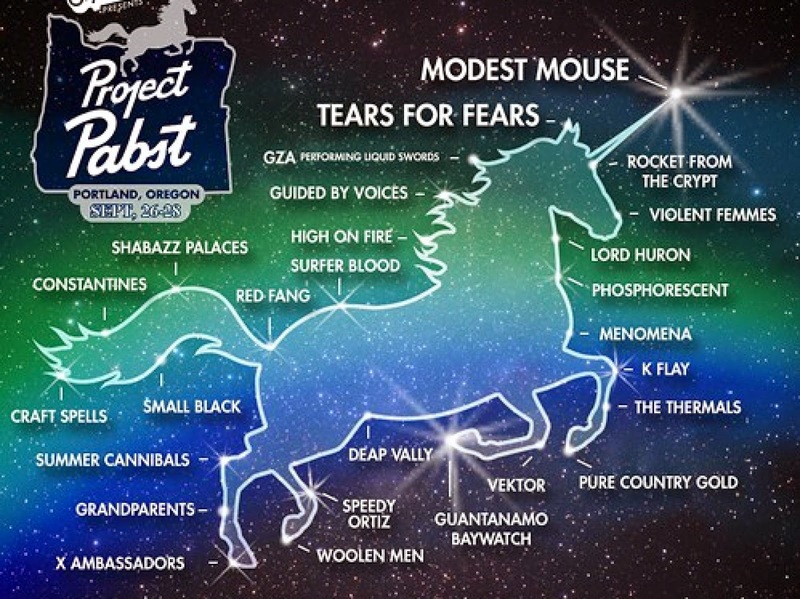 See the full lineup at Project Pabst’s website. Tickets are on sale now. Day prices are currently $25, while a weekend pass is $60.